There are few things as thrilling to the senses as the ocean, and artists will often rely on the sea’s ability to charm and awe us. This month sees the opening of a new exhibition at the Museu Marítim by Mark Redden, a Dublin-born and Barcelona-based artist, which draws on this tradition. 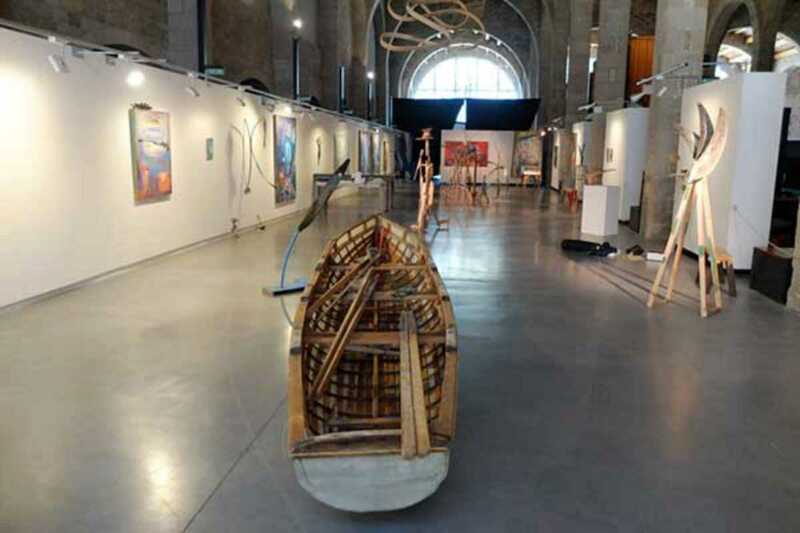 The exhibition features abstract paintings inspired by maps in the museum’s collection, and sculptures using the remains of various boat building projects. Fans of the annual Currach race in the city should appreciate the chance to view a Currach built by the artist in 2009. The sculpture Narcissus and John, an homage to submarine inventors Narcis Monturiol and John Holland, will also feature in the exhibition. The exhibition aims to bring together influences from maritime literature, science and adventure to evoke the power and beauty of the sea. The Museu Marítim will also be participating in La Nit dels Museus on Saturday 16th.